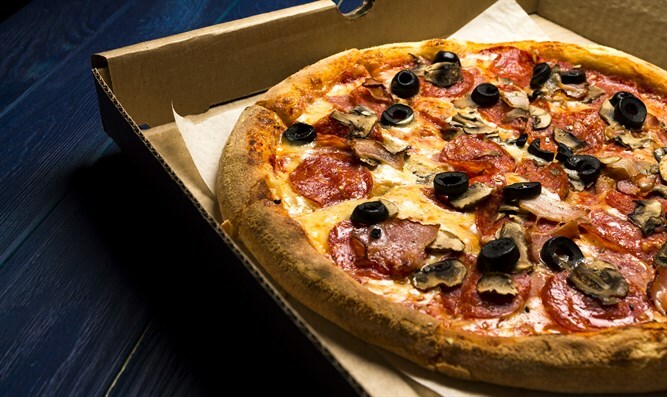 IDF soldiers order, eat, non-kosher pizza at troop event. An IDF troop stationed on Israel's northern border on Thursday night held an event and ordered non-kosher pizzas. Religious soldiers in the troop were forced to sit on the sidelines while their friends ate non-kosher food. IDF Chief Rabbi Eyal Karim sent a message to military rabbis and Military Rabbinate commanders, emphasizing the fact that this incident was a mistake both for the IDF's values and its command, and will be dealt with by the division commander, the brigade commander, and the troop commander. "We have no intention of inspecting every sandwich a soldier eats by himself in his room," Rabbi Karim said. "But a troop event, which is supposed to bolster friendship and unity, and instead creates division and discrimination - that is a mistake, both in our values and in our command, and we must prevent it." The Military Rabbinate explained that "the division commander and the troop commander were both personally involved in dealing with the command and discipline in the event. Obviously, they spoke with the unit's rabbinate and its kashrut (kosher) division. We will investigate, learn from, and correct this in the future, in order to strengthen the kashrut and to encourage as much as possible mutual responsibility and unity."